Known for its versatility as a platform, Drupal is steadily growing in popularity as more and more people look to content management systems (CMS) to administer their websites. 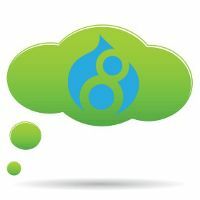 If you are using Drupal as your website's CMS, it pays to get a specialized Drupal Hosting solution - see below for our list of the best options available to you. The term Drupal Hosting describes Web Hosting solutions which are compatible with the popular content management system (CMS) known as Drupal. Created by Belgian national Dries Buytaert in 2001, Drupal's name originates from the Dutch word 'druppel' which translates to 'teardrop'. An open-source CMS available in over 40 languages, with capabilities spanning the wide spectrum between basic website design to sophisticated programming interfaces, Drupal is extremely popular and has been downloaded over a million times. It is coded in PHP and distributed for free under General Public License. Drupal's market share is steadily increasing - currently it is used by approximately 2.5% of websites, making it the third most popular CMS after Joomla and WordPress. The statistics show that although Drupal is used by far fewer sites than WordPress, the Drupal sites generally receive more visitors. Not surprising when you consider that Drupal's portfolio includes some extremely popular websites, such as Twitter, Pinterest, Box.com and Weather.com, among many more. More and more people are using online content management systems (CMS) to create their own websites, instead of buying expensive software or hiring even more expensive developers to do it for them. Drupal CMS is aimed squarely between the two markets; customers and developers. Drupal is intended as a 'hybrid CMS', combining the simplicity of WYSIWYG (what you see is what you get) website creation software with the complexity of an application used to code a site from scratch. Drupal is incredibly versatile; it has the capability to build whichever kind of website you need, whether it's a personal blog, a large e-Commerce site, or the next big social media platform. When hosting Drupal, you are provided with a clear interface for handling operations, along with a system of modules. There are currently well over 30,000 modules available, most of which have been created and released by members of the enthusiastic Drupal community. You may see Drupal being called a content management framework (CMF), as well as a content management system (CMS). The job of a CMS is to provide tools that enable you to build a website and connect to a database. It should offer flexibility by allowing modules, plug-ins and themes to be added, allowing people with little or no programming experience to get a simple website up and running quickly. On the other hand, a CMF allows you to put together your own version of the application by choosing only the parts you need, and leaving those you don’t. A CMF usually requires more technical knowledge and has a much higher learning curve. Numerous providers offer Drupal Hosting compatibility, but many simply do this by labelling their regular Cheap Web Hosting plans 'Drupal ready' and don't really specialize in it. That lack of knowledge or specialism could mean the server your site is hosted on isn't fully optimized for Drupal, which can in turn affect your site's performance. These features are the main reason that GreenGeeks tops our list of Drupal Hosting companies. Is Drupal Web Hosting right for me? There are a great many content management systems out there, so there should be one that suits you. WordPress and Joomla are the most popular alternatives to Drupal, but there are in fact hundreds more - take a look at our Blog Hosting page to find out about a few of them. 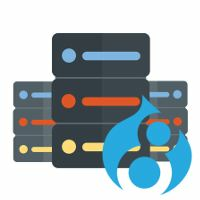 Drupal Hosting is best implemented if you want to use a CMS to administer your website, but also want the flexibility to add functionality and/or consider yourself to have above average technical skills. Drupal Hosting is also a very solid choice when it comes to running larger, more developed websites. Get your Drupal Hosting plan today!